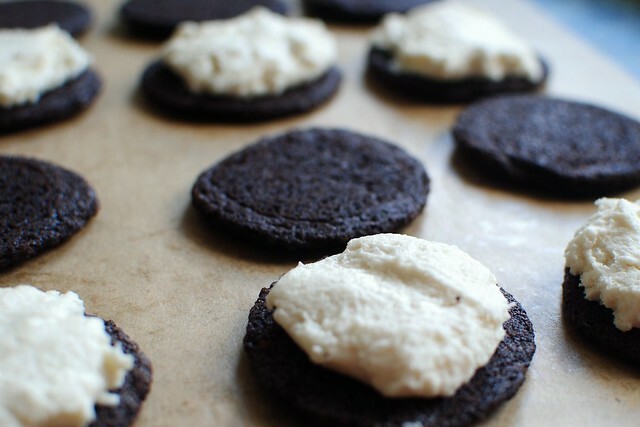 I have never eaten an oreo and thought, "Wow, that was the perfect amount of icing!" 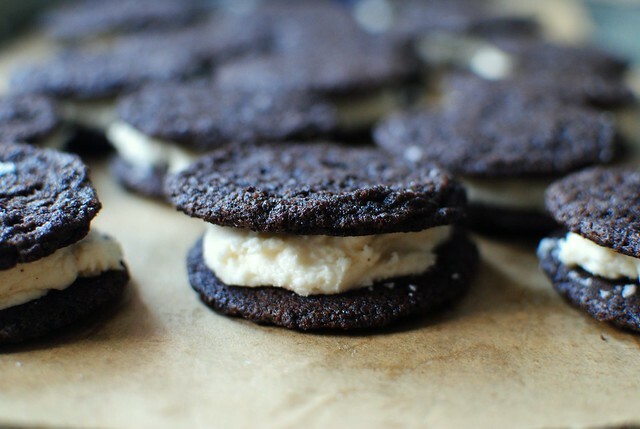 Instead, oreos consistently leave me feeling unsatisfied and covered in chocolate crumb-dust. The remedy? 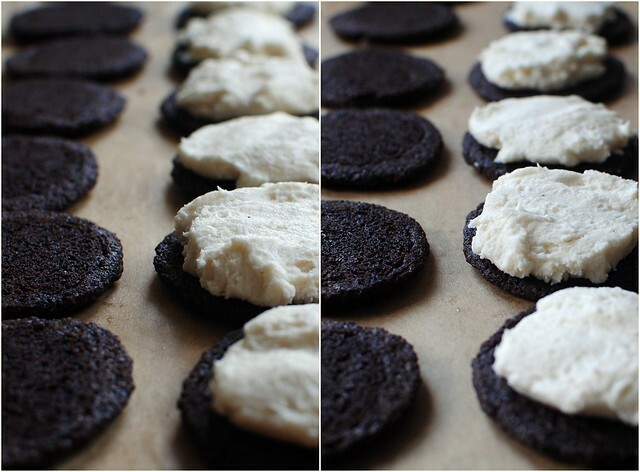 Homemade oreos, with as much icing as my heart desires. 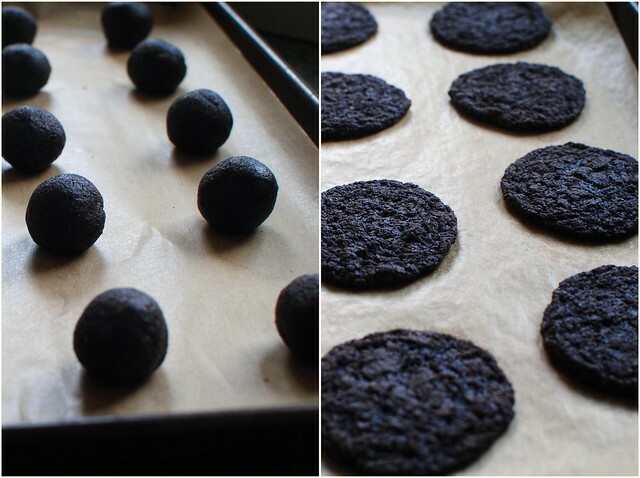 I used Deb's recipe, which is simple and perfect as is (my cookies look different because I used dark cocoa powder). I took her advice to cut out a half cup of sugar in the cookies to make them more wafer-like instead of overwhelmingly sweet. Sprinkling sea salt on the icing is key (as always, in my book). They keep well in the fridge and I actually like them better chilled. 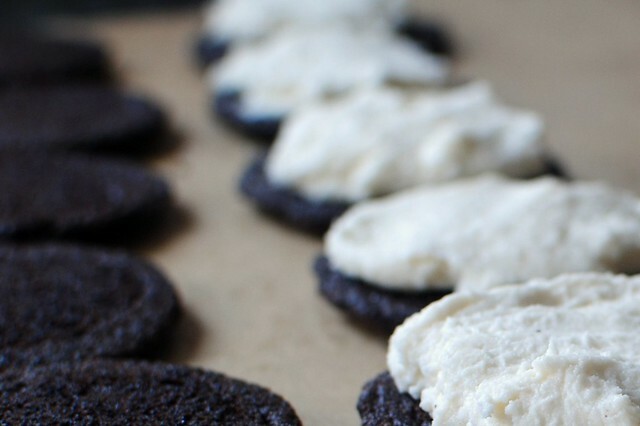 Store-bought oreos will never be the same. Don't say I didn't warn you.